Abstract — Soils can absorb enormous amount of water and high volume changes can be seen in the soil which causes the seasonal heave and the shrinkage which is according to the availability of water. It causes much distress and can lead to the failure of the structure founded on these kinds of soils. Preloading, moisture content, replacement, etc. 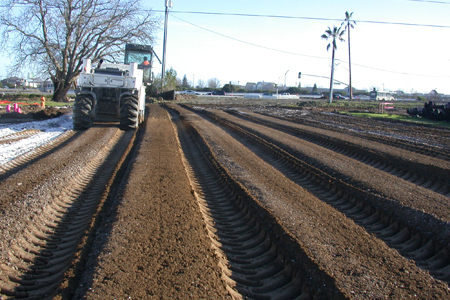 are the methods which have affected soil and additives have been used to deal with the swelling problems associated with these soils. 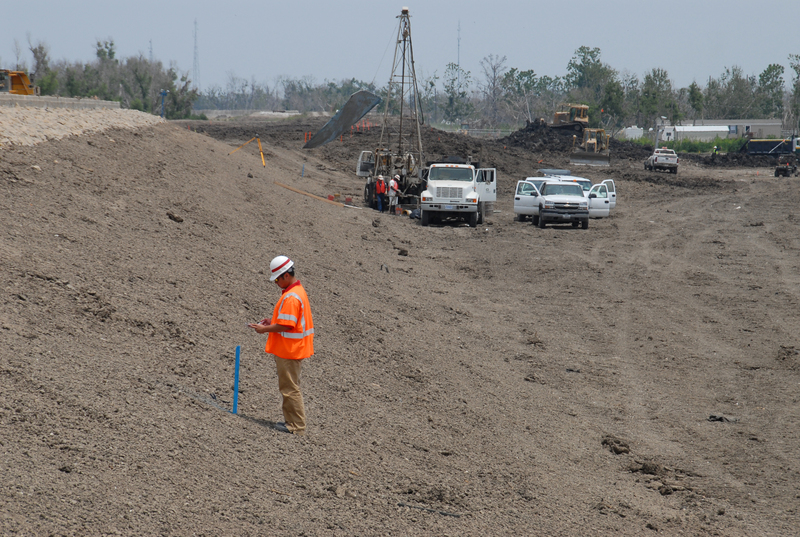 Literature reveals that studies were conducted to modify the behavior of expansive soils using additives such as lime, cement, fly ash and other industrial wastes. However, not many studies have been performed on the combined application of lime and fly ash, particularly the non-self cementing fly ash, for treatment of expansive soils. In this work, an attempt has been made to study the geometrical characteristics for the expansion in the soils mixed with the different composition of the lime and fly ash. The main objective of this work is to find out the significant applications of waste fly ash that does not qualify in the industry of construction and also that to use line as an optimal modifier of properties. The geotechnical characteristics which are dealt with in this work consist of strength, compaction, swelling, plasticity, consolidation. Due to combined addition of fly ash and the lime has investigated the variation of these properties. It is noted that there is considerable influence of combined addition of fly ash and lime and aging on geotechnical properties of expansive soil. Some of the properties like plasticity and strength are influenced much by higher percentage of lime. The performance enhancement of expansive soil due to combined addition of lime and fly ash is clearly discussed and quantified in this study. Based on the results, suggestions have been made to maximize the utility of fly ash wherever possible. However, there are some chemical uniqueness that need to be widely investigated further for better clarification of certain trends observed in this work. Specific gravity for expansive soil, fly ash and their mixes is determined using specific gravity bottle as per IS 2720 Part 3 Section 1. Kerosene is used in case of expansive soil because of its high affinity to water. In case of lime-treated soil, soil and lime are properly mixed, sufficient water is added beyond saturation, and then kept for 2 hours. By this time, all CaO has been converted to Ca(OH)2 and initial lime reactions has taken place with soil. The soil is then oven dried and then specific gravity is determined by the usual procedure. In the BET method (after Brunauer, Emmett, and Teller), adsorption of nitrogen gas by soil particles in monolayers is measured in a surface area analyzer. The analyzer uses BET adsorption isotherms for reporting the surface area. An analyzer of make Beckman Coulter and model SA3100 was used. Scanning electron microscopy is done to find out the microstructure and texture of the expansive soil and fly ash. A Leo 1430vp equipment is used. The samples are made free of moisture by subjecting them to high vacuum, and then mounted on substrate before putting them in the microscope. Energy dispersive X-ray spectroscopy was performed in the same equipment. So, SEM gives the microstructure as well as elemental composition of test soils. CEC is the measure of a soil to retain readily exchangeable cations which neutralize the negative charge of soils. CEC was determined using an ammonium replacement method. The lowest percentage of lime that gives a pH of 12.4 is the approximate lime percentage for stabilizing the soil (ASTM 6276). Soil samples are mixed with different percentage of limes. Slurry is made with CO2-free distilled water at soil water ratio of 1:5. The slurry is agitated intermittently and after 1 hour the pH value is measured with the help of standard electrode pH-meter. There may be soils in which the pH is greater than 12.4. If this occurs, the lowest percentage of lime where the higher pH value does not rise for at least two successive test samples, at increasing lime percentages, is selected. This pH value is the maximum for the saturated solution of Ca (OH)2 in CO2 free water at 25°C. Solubility of lime decreases at higher temperatures. So, pH value of 12.4 may not be achieved at higher temperatures. In this study, the measurement temperature was 30°C and above, so the maximum pH value attained was less than 12.4°C. Energy Dispersive X-Ray (EDX) was performed during Scanning Electron Microscopy to find elemental composition of expansive soil and fly ash. It gives estimates of atomic percentages as well as percentage by weight of the elements present in the sample. X-Ray Diffraction (XRD) tests were conducted to identify the minerals present in the expansive soil and fly ash. A Bruker AXS D8 machine was used for the purpose. Major peaks in the powder diffraction patterns were identified by comparing with standard powder diffraction patterns of minerals by search and match method. Grain size distributions of samples were made as per IS: 2720 Part 4, 1985. Dry sieving was done in case of expansive soil. Wet sieving was not done for ES as these particles absorb water, swell and become sticky. Sedimentation analysis was not done on the sub- 75µ fraction of ES as swelled particles can give erroneous particle size. 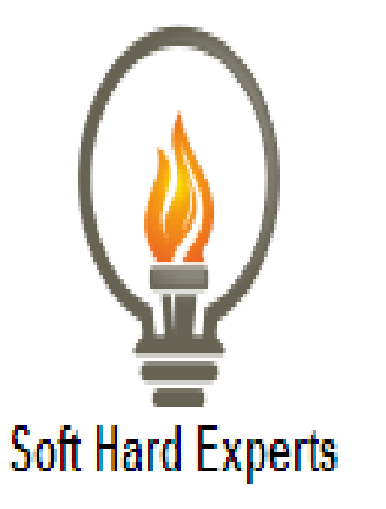 Moreover, ES suspension appears like gel and remains stable for a long time. In case of fly ash, the grain size analysis for the size range above 75 µ was done by wet sieving and that for the range below 75 µ was done by sedimentation analysis using hydrometer method. Liquid limit (LL) and plastic limit (PL) tests are done as per IS:2720 Part 5, 1985. The LL tests on fly ash-clay mixtures were done initially using both Cassagrande’s apparatus and cone penetration methods. The Cassagrande’s method involves imparting an impact load to the wet soil, while in the cone penetration method, a metal cone is allowed to push in to the soil under its own load. The differences between the measurements from the two methods were observed and investigated. Data from LL tests on other soil types viz. ES and river silt mixes, red soil, potters clay were used for studying the differences between the two methods. In both methods, the soil is dried from higher water content to a lower water content to test at different water contents. This is done to avoid non- uniform mixing of water in clayey soil if water is added to increase water content from a lower value to a higher value. Further LL tests on expansive soil and soil-fly ash mixes treated with lime are done using Cassagrande’s apparatus. LL tests on fly ash samples are done using cone the penetration method. Plastic limit tests are done by thread-rolling method. Fly ash being non-plastic, no PL tests were done on it. Light compaction tests are done on samples of expansive soil, fly ash and their mixtures. These tests are conducted using a small compaction apparatus developed and verified by Prashanth (1998). The schematic diagram of this compaction apparatus is produced. For each test, approximately 200 g of dry soil is required and for each set of 6 moisture content conditions, approximately 1.2 kg of soil is required. For Standard Proctor test, approximately 2.5 kg of soil is required. There is substantial saving in test material. Since sample mixing time is more than the testing time for most of the tests, this results in substantial reduction in sample preparation time. Unlike the Proctor test, the sample in the mini compaction device is completely confined at its top by the hammer foot, the bulging during compaction is prevented. The drop weight does not fall on the soil directly, but the load is transferred through a foot. Thus some amount of kinetic energy of the falling weight is lost by way of sound, vibration, etc. For this, more energy is required for compaction of the same quantity of soil using this test (1.49 J per cm3 of compacted soil) compared to that required in Proctor’s test (0.592 J per cm3 of compacted soil). The internal diameter of the compaction cylinder is 38 mm. Hence, 38 mm diameter compacted samples can be obtained from this test for other tests such as UC test, triaxial test, etc. The moisture content vs. dry density curves are plotted to find the optimum moisture content (OMC) and maximum dry density (MDD) in the same fashion as in the case of Proctor test. For verification of the miniature compaction apparatus, some tests were carried out using the Standard Proctor compaction and the mini compaction apparatus. It may be observed that the compaction curves from both the devices almost match each other. It establishes that the mini compaction apparatus can be used satisfactorily in lieu of the Standard Proctor test. 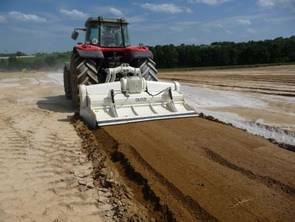 Since this mini compaction apparatus requires much less soil, time and effort compared to the conventional one, in the present study it is used for all compaction tests. Free Swell Indices of soil-fly ash mixes with and without lime treatment are found out as per IS:2720 (Part 40) – 1977. The free swell index is the ratio of volume of 10 g of soil submerged in water in an 100 ml measuring cylinder to the volume of same quantity of soil submerged in kerosene. Swelled volume is also calculated and reported as volume per g of swelled soil without comparing with volume in kerosene. Swelling was also observed under a seating pressure of 5 kPa in samples remoulded and mounted on oedometers as per IS:2720 (Part 41) – 1977. Samples were prepared at OMC and MDD. The increase in sample height has been recorded until swelling is stabilized. The swell percentage is then determined as the ratio of increase in sample thickness to the original thickness expressed in percentage. The soil after exhibiting the maximum swell has been incrementally reloaded to bring it back to its original thickness of 20 mm. The cumulative load at which the swelled soil attains the original thickness has been used to determine the swelling pressure of the soil. Unconfined compressive tests are conducted as per IS: 2720 (Part 10) – 1991. Samples of soil-fly ash mixes with or without lime treatment are prepared at OMC and MDD. The samples with lime are cured for different periods (0, 1, 3, 7, 15, 30, 60 and 90 days), to see the effect of curing on strength. The 38mm diameter specimens are compressed at a strain rate of 1.25 mm/min. The peak compressive stress attained by a specimen is considered as its unconfined compressive strength, and the corresponding strain is considered as the failure strain. An assessment of the existing methods for determining the liquid limit of soils indicate that, there is an under-estimation of the liquid limit obtained by cone penetration method as compared to that by percussion method. This inconsistency is more for high plastic soils. Both the liquid limit and plastic limit values reduce with accumulation of fly ash to the expansive soil. While, with addition of lime the liquid limit of soils has undergone further reduction, the plastic limit has undergone a visible increase. With 10-12% of lime one can obtain similar reduction in liquid limit as that by adding 50-60% of fly ash to the expansive soil. Overall the plasticity index has shown a quick decrease till lime content of about 2 to 3%, beyond which further reduction is insignificant. Consequently, the critical amount of lime, to supply the maximum increase in workability of soils (i.e. expansive soil, expansive soil- fly ash mixes), is about 3% by weight of dry soil. At higher lime content and extended curing period, the liquid limit of the expansive soil reveal an increasing trend, which is more well-known in case of expansive soil-fly ash mixes. With addition of fly ash and lime the compaction response of the expansive soil tends to be flatter. 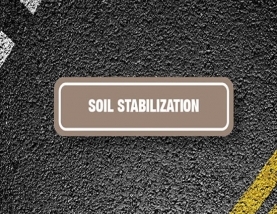 This indicates that the soil has turned more friable, that the target density can be achieved over a wider range of moisture content leading to improved workability. Different index properties of the expansive soil–fly ash–lime mixes, plastic limit is found to correlate well with the compaction parameters i.e. optimum moisture content and maximum dry density. The links in the equations for lime treated soils are observed to be different from those reported for natural soils. This is attributed to the lime induced chemical alterations of the soil. 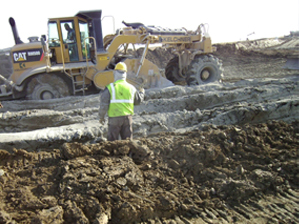 When added with fly ash, the compressibility of the expansive soil is found to have reduced substantially. With 80% fly ash, the reduction in cc is as high as 78% and that of mv is 68%. However, there is no significant reduction in cc and mv, for lime content beyond 5%. Therefore, for all practical purpose, the maximum lime modification of the fly ash amended expansive soils can be limited to 5%. The method proposed by Dakshanamurthy (1978) for estimating maximum swell of soils, is found to hold good for expansive soil-fly ash mixes as well. The maximum swell percentage is found to exhibit a linear relationship with the plastic limit. The swell pressure is found to vary linearly with liquid limit, plastic limit, plasticity index, and specific surface area.